When you need quick care from a qualified medical provider, turn to Davam Urgent Care in The Woodlands, Texas. For patients who have a non-life-threatening medical condition, we are the ideal alternative to freestanding emergency rooms, as we offer more affordable prices for comparable services. 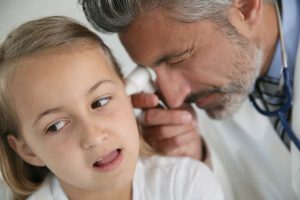 Every patient who visits us is examined and treated by a highly experienced provider, so whether you are suffering from bronchitis, an urinary tract infection, a laceration, bone fracture, or any other non-emergency injury or illness, you can rest assured you’ll receive the highest quality care with us. Never require an appointment, and are open daily from 8 a.m. to 9 p.m., allowing patients to visit us when it is most convenient for them. Offer in-house diagnostic services, including X-rays and EKGs, so patients won’t have to make additional appointments at another facility to receive an accurate diagnosis. Are in network with most major insurance providers and offer straightforward, affordable pricing for uninsured patients. Furthermore, patients can visit us for more than just quick care for non-life-threatening medical conditions. We also offer physical exams for work and school and other routine medical services. If you’d like to learn more about the quick care services that we offer in The Woodlands, TX, contact us today. If you’re planning a visit with Davam Urgent Care, sign in now using our online check-in system to potentially reduce or eliminate your wait time.